Our producers’ wines reflect the authenticity and excellence that comes from generations of experience in the vineyard and in the cellar, together with an unwavering focus on quality. 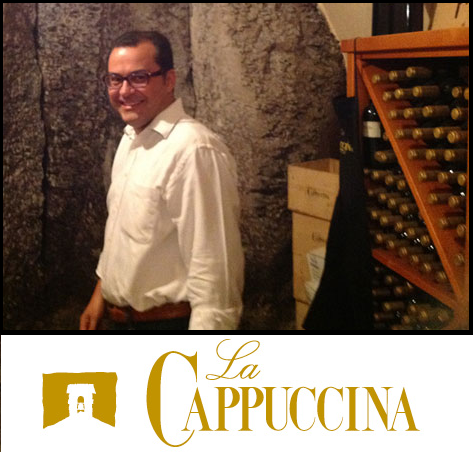 Founded over a century ago, the Tessari family’s La Cappuccina estate is located in Costalunga di Monteforte d’Alpone, the heart of the Soave, in the province of Verona. The name of the estate comes from a small private 15th century chapel where the Capucin monks once celebrated religious services. The 62 acres of vineyards near the stone family farmhouse have been cultivated for generations with the same unswerving dedication. At the present time, Sisto, Pietro and Elena Tessari along with their father Lorenzo, run the estate, each playing a different role in the management of the winery. Their objective is to develop and reinforce the quality and image of the products for the various regional and international markets. All of the different phases of the production cyle, from the vineyard to the bottling line, are carried out in observance of the rules for biological cultivation, under the supervision of the Istituto Mediterraneo di Certificazione (the Mediterranean Institute of Certification), AMAB brand.Also NOP certified. This type of viticulture forbids the use of chemical weed killers, chemical fertilizers, and pesticides in order to guarantee healthier, more natural products and a greater respect for the environment. It is this concern for quality that has led to separate fermentation methods for each individual wine, the Soave doc, the Soave doc Superiore selection “Fontègo”, the Soave doc Superiore “San Brizio”, and the Recioto di Soave doc and the “Arzimo”. At the same time, the strong desire to experiment with grape varieties from other areas, have led to an expansion of the product line with the addition of the Cabernet Sauvignon-based “Madègo”, and the Cabernet-based “Campo Buri”.